On Friday night, Lebron James was escorted to the Jay-Z/ Justin Timberlake concert after Miami police were radioed that the Miami Heat star needed a ride to Sun Life Stadium, where the show took place. This already sounds like a WTF moment. A policeman not only rushes to James and his fiancé Savannah Brinson to get them to the concert on time, but drives against traffic in a highway traffic jam! Boss moves, huh? Must be nice. But why did Lebron post an Instagram video of the ride? Now Lebron has gotten the officer in trouble! The incident is now being investigated by South Florida authorities. James should have made a written request beforehand, which is required for high profile figures to receive such treatment. 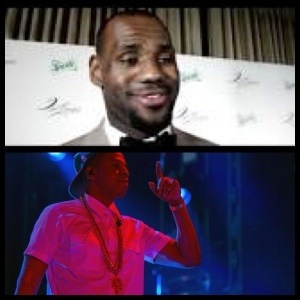 To make sure that King Lebron missed none of the show, Jay-Z refused to start the concert and waited for the baller to arrive! An attendee told TMZ that by the time the show started, people were starting to get impatient. But soon after, the show started, luckily. Do you think these top notch, A List celebs should get such ridiculously biased and special treatment? ?